The Short and Long of It by Paul Alan Fahey is now available! Do you write short fiction but long to s-t-r-e-t-c-h those tight little 55ers, flash pieces, and short stories into longer, publishable work? Do you have binders full of short pieces with characters you’d love to flesh out? Are you dying to tell the rest of these stories? If so, The Short and Long of It is for you! 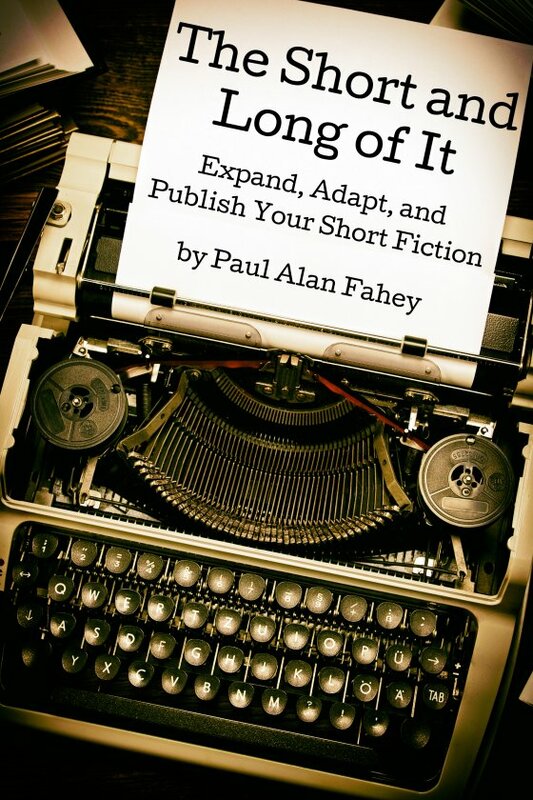 Award-winning short fiction writer Paul Alan Fahey shows you how to expand and adapt your brief creations into longer, more satisfying stories, plays, novellas, and novels pitch perfect for publication in the e-age. Develop characters and enhance backstory. So grab a copy today and start writing longer stories tomorrow! Flash fiction may seem like a relatively new genre, but you may be surprised to learn it’s been around for some time. James Thurber imagined a hung-over Ulysses S. Grant meeting Robert E. Lee at Appomattox and surrendering his sword to the bewildered general from the South. Katherine Anne Porter told a tale of magic about a New Orleans prostitute who rebelled against her abusive madam and left the “house” only to return in a week, meek and mild, after the madam’s cook cast a spell on her. What do these stories have in common? Each one has a length of approximately 1,500 words, and there are many more such pieces, some even shorter, written by Chekhov, Crane, Kafka, Lessing, and De Maupassant. Even Hemingway’s A Very Short Story weighs in at slightly over 600 words. Reading flash fiction or short-shorts of 500 to 1,500 words — some editors extend the word limit to 2,000 — is like eating potato chips or for me, cashews. You can’t read just one. You gobble them down, one tantalizing bit after another. Whether they’re called blasters, postcard fiction, micro-fiction, sudden fiction, short-shorts, or flash fiction, the essence of the genre is the same. The writer quickly gets into the story, establishes setting and character, sets up the conflict, fills-in critical back story, then heads faster than a speeding bullet toward the climax and resolution. Almost every How To writing text stresses the importance of learning to write cleanly and concisely. Experts tell us to pare down our adjectives and adverbs and shorten lengthy prose by finding just the right words to describe character and setting. As writers, we hone our skills like trained athletes, but instead of setting physical tasks for ourselves, we exercise daily in our journals and notebooks. Through these writing routines, we flesh out characters, try out themes, explore point of view (POV), voice, and often create story drafts in just one sitting. Some of these wonderful gems often lead beyond flash to even lengthier works — short stories and novellas — perfect for publishing in the e-age. Let’s begin by taking a close look at one of my favorite pieces. It happened on my parents’ honeymoon. The fourth morning out from New York, Mother woke to find the Carpathia still, engines silent. She woke Father; they rushed to the deck in their nightgowns. The first thing they saw was the white of an ocean filled with ice, then they saw white boats, in groups of two or three, pulling slowly toward the Carpathia. My father read the name written in red across their bows — Titanic. The sun was shining. Here and there a deck chair floated on the calm sea. There was nothing else. The survivors came on board in small groups. Women and children. Two sailors for each boat. The women of the Carpathia went to the women of the Titanic, wrapping them in their long warm furs. My mother left my father’s side to go to them. The women went down on their knees on the deck and prayed, holding each other’s children. My father stood looking at the icy water where, if he had been on the other ship, he would be. Two hundred and seventy-five words and a gem of a story. Wouldn’t you agree? Carpathia is just too good not to be read several times, if only to study the simplicity of its structure and emotional depth. At first Carpathia feels like a memoir. Anyone familiar with the facts surrounding the sinking of the Titanic might guess where this is all headed. Another rescue tale coming up. But not so fast. By the time we’ve read the last few sentences, we realize Carpathia is about so much more than what we originally thought — it’s a statement of the times and a woman’s place in them.